Showcasing breathtaking bridal gowns, rare jade statuettes and exquisite original pieces from Louisiana artists, the LSU Museum of Art is a cultural staple in downtown Baton Rouge. The museum, once housed on campus, moved to the Shaw Center for the Arts several years ago. Boyce, a lawyer in the Office of the Louisiana Attorney General, recently stewarded a gift to the museum from her father’s business, Louisiana Machinery Co. With nearly a lifetime of museum involvement in hand, Boyce knew its greatest needs and chose to dedicate half of the donation to the museum’s endowment to provide long-term sustainability. The remaining donation supported needs and exhibitions to which Boyce feels a special connection, including exhibitions showcasing Walter Anderson, LSU College of Art + Design faculty, Herman Leonard and Professor Emeritus Edward Pramuk. 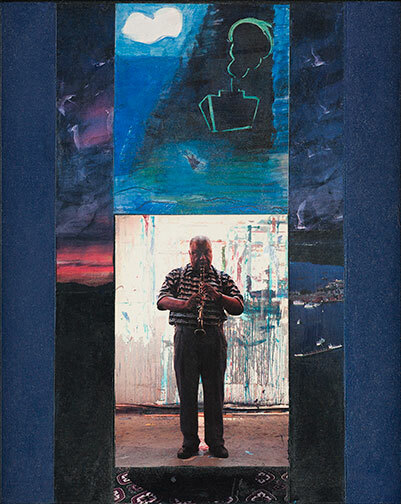 Anderson’s exhibition, “Walter Inglis Anderson: Everything I See is New and Strange,” highlighted more than 60 watercolor and oil paintings, prints and printing plates, pen and ink drawings, and pottery from the late artist. Each piece evidences Anderson’s unique observations of the Mississippi Gulf Coast’s flora, fauna and landscape. More than three dozen of Pramuk’s pieces were shown alongside 36 of Herman Leonard’s legendary jazz photographs. Leonard was known for immersing himself in the jazz world, using lighting techniques that allowed him to photograph performers in their element without losing the atmosphere or ambiance of the smoky jazz clubs. Both artists use the visual arts as a tribute to the musical form, encouraging viewers to appreciate it through the visual complexity of musicians and their instruments.